Last week we wondered, rather foolishly in retrospect, whether this week will see Dow 27,000 capping the fastest 1,000 point rise. A funny thing happened instead. The Dow actually fell 1,000 points this week (1,096 pts to be more exact), once again demonstrating that asset classes might go up in an escalator but they come down in a fast elevator. Now we wonder whether the Dow breaks 25,000 on the downside? 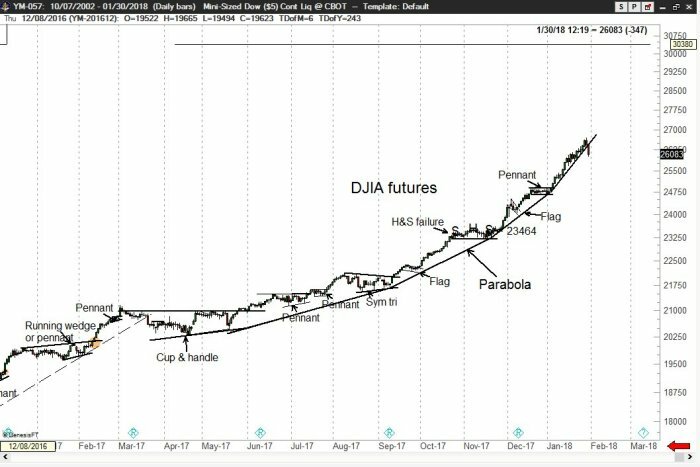 Peter Brandt‏ @PeterLBrandt –The parabolic advance in $DJIA $YM_F has been violated. 10 to 15% correction on the way. So those who follow whom we follow had the opportunity to avoid almost 2/3rds of this week’s decline. But that’s history. 2. What’s Next for US stocks? The McClellan Oscillator dropped to minus 271 at Friday’s close. But does that mean sentiment is washed out? Peter Brandt‏ @PeterLBrandt –My gut opinion following the Twitter stream today is that way much blind arrogance continues to exist — and the punishment is not done. Time will tell. Empirically speaking, the ideal scenario would be a fall on Monday followed by a decline on Tuesday morning that gets reversed and closes in the green. Urban Carmel‏ @ukarlewitz –$VIX:$VXV at 0.98. Last two closes over 1 were the 2016 election and April 12-13 2017. But will the bounce be a sustained one or a transient one? 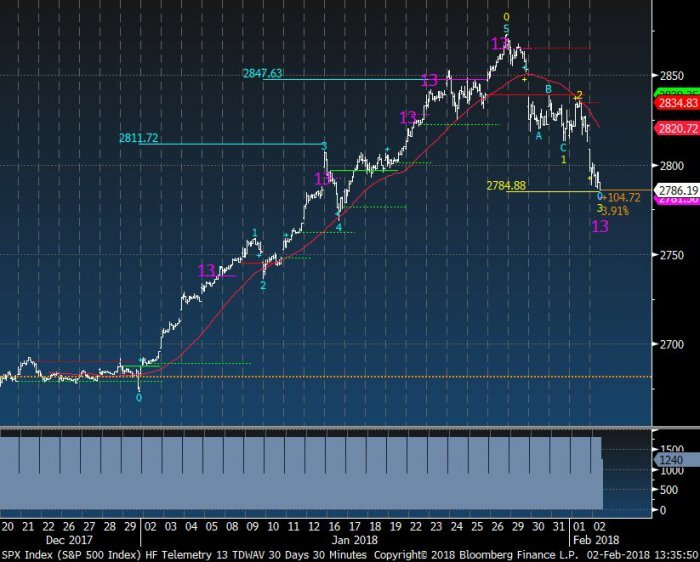 Thomas Thornton‏ @TommyThornton- $SPX Good news it’s at my downside wave 3 target 2784 I’ve been expecting since the recent top, Bad news, wave 4 will be a lower high bounce and then wave 5 will break even lower. These are all smart & wise observations. 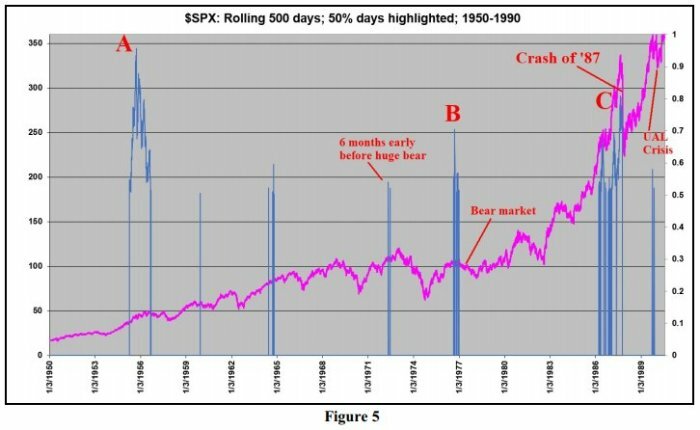 The best signals will come from the nature of the bounce when & if it comes. Remember the Gundlach-Santelli 2.63% line for the 10-year yield! On Friday, the 10-year yield closed at 2.84% – a rise of 20 bps from the hard stop of 2.64% of Gundlach. Guess what? 18 out of these 20 bps came on Thursday & Friday of this week. The first trigger was Atlanta Fed calling for 5.4% real GDP growth in Q1 2018. No wonder rates exploded up on Thursday afternoon. Then came Friday’s NFP number that showed the fastest wage growth since the end of the last recession. 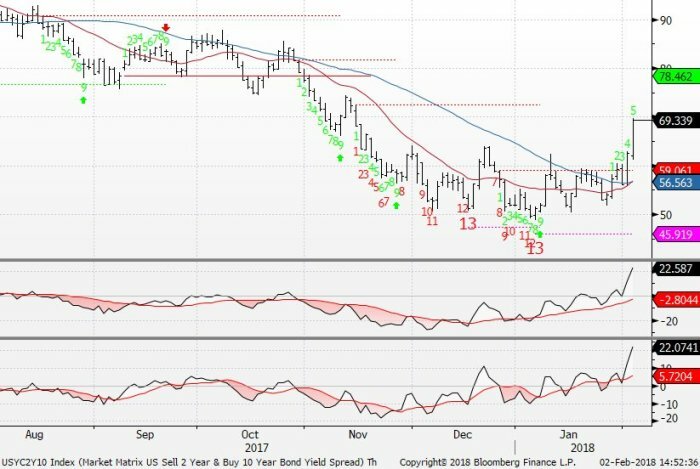 No wonder rates exploded up again on Friday in a second day of bear-steepening. And the 30-year yield closed clearly above 3% at 3.08%. If this breakout is real, then we could see the “parabolic shift in rates” to 3.5% or even 4% for the 10-year yield as Larry McDonald said on Friday afternoon. As another interesting sign, the 2-year yield closed DOWN on Friday as the rest of the curve shot up in yield. And the rise in 2-year yield this week was only 2.5 bps compared to 18 bps & 12 bps for the 10-year & 5-year yields resp. So bonds are oversold but are they so oversold that a bounce is imminent? The shift of the force from the 2-year to the 30-year may prove significant for all asset classes as we saw on Friday. The Dollar did bounce on Friday to close marginally up on the week. The steep rise in long rates & the Dollar bounce caused serious damage to commodities & resource stocks this week. 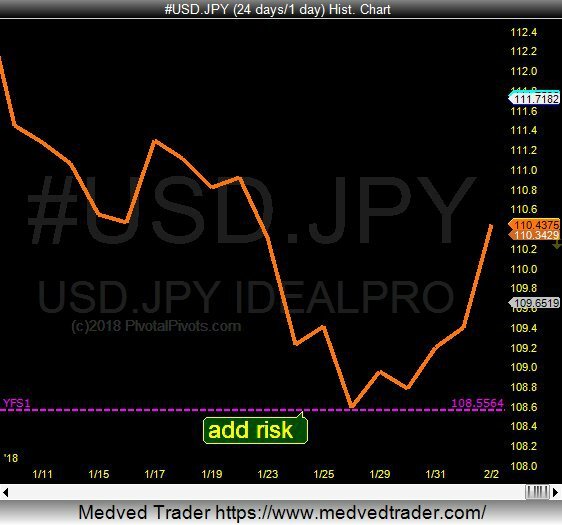 Jeff York, PPT 📊‏ @Pivotal_Pivots –$USDJPY today is popping today off the YFS1 Yearly Pivot Point. 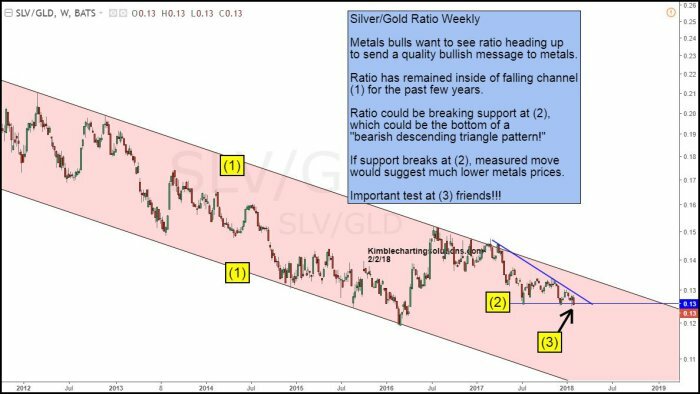 That’s why $GLD is falling. 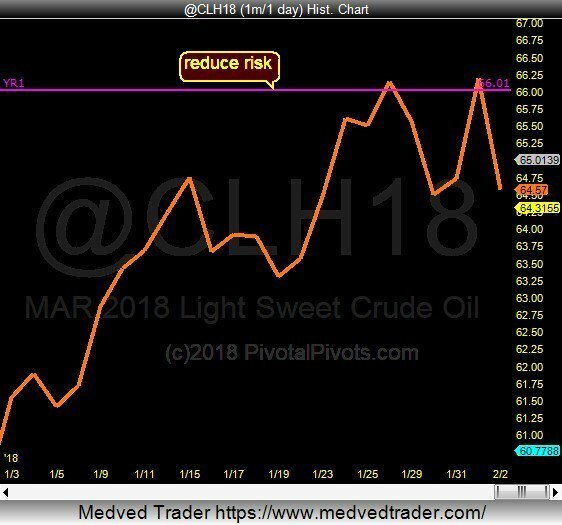 The Biggest reversals happen at Yearly Pivots! Gold fell 1% on the week but the miners were clobbered down 5-7%. 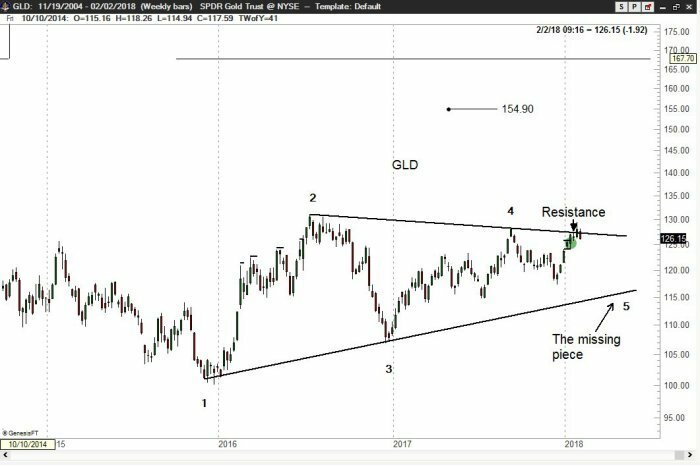 Peter Brandt‏ @PeterLBrandt –$GLD $GC_F upside breakout is most likely a failure. Base metal stocks & Ag stocks got hammered as well. And worst hit were energy stocks with both OIH & XLE down 6.5% on the week. 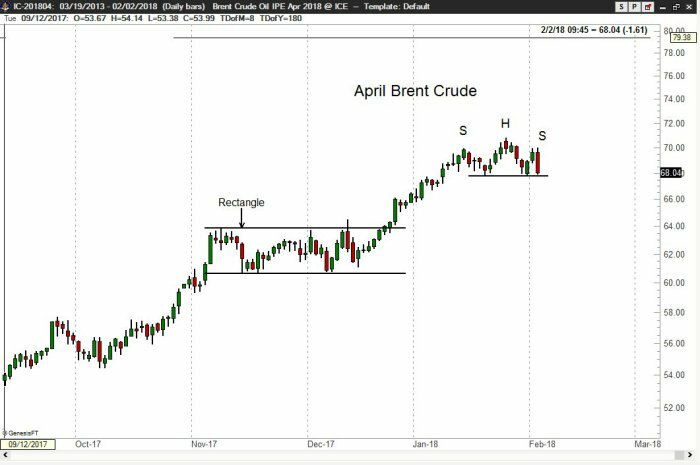 A double top & a H&S pattern? Such is the power of the 30-year yield breaking out in combo with the US Dollar.